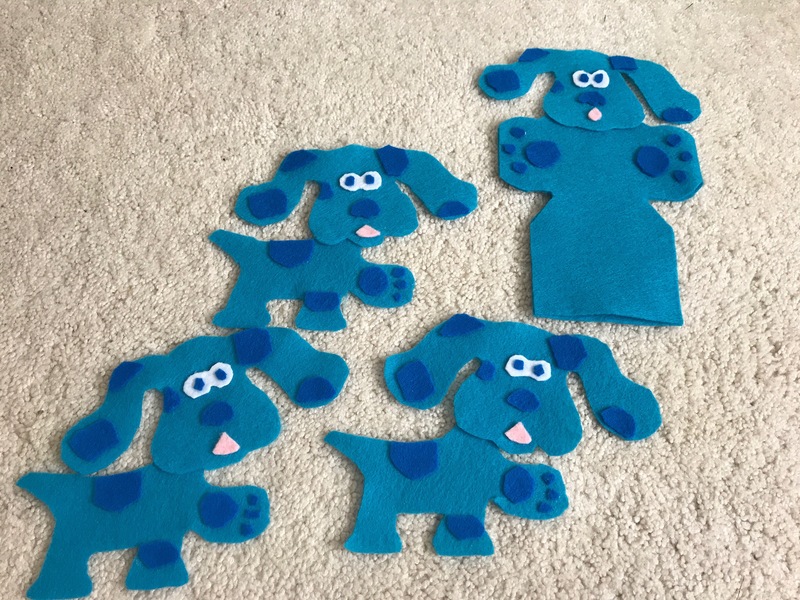 Here are some more of the Blue’s Clues items I made. These cute mini Blue’s are made out of felt. I drew it out on paper to make template. I cut the felt pieces out and glued it together with tacky glue. They can be glued onto a canvas and used as a cute wall decor. The larger Blue is a hand puppet. If you are familiar with Blue’s Clues, then you have seen the small snail. The snail is usually some where in most episodes. It’s fun trying to find him. This was my sons favorite of all the items I made. He loved it so much that he feel asleep with him in his hand. He likes to play with the snail and keeps him close by. When I tried to take a picture of him he was nearby keeping and eye on him and took him back when I finished snapping the pic. I found these good quality images online. I printed them up and cut them out. I laminated them and used them as party wall decor. Even after the party they can still be used. They are now hanging in my son’s playroom. I also found these blue paw prints. I printed them and laminated them too. 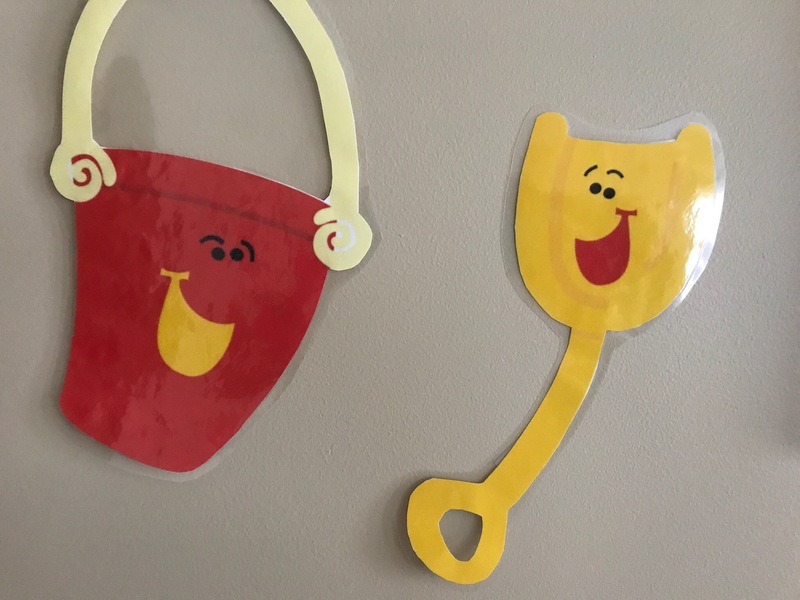 At my sons party, I used them around my house. 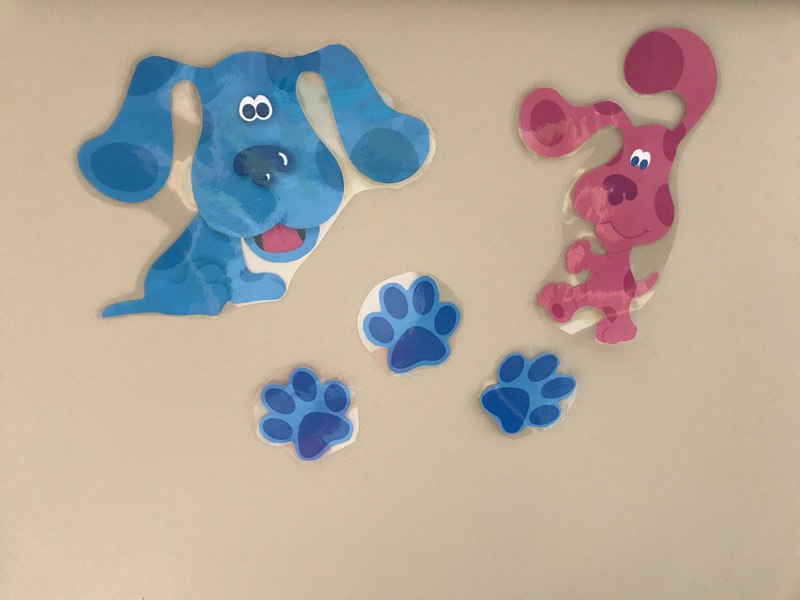 I used them as a game for the kids to figure out what Blue was trying to tell them. We just got a letter… We just got a letter… I wonder who it’s from? 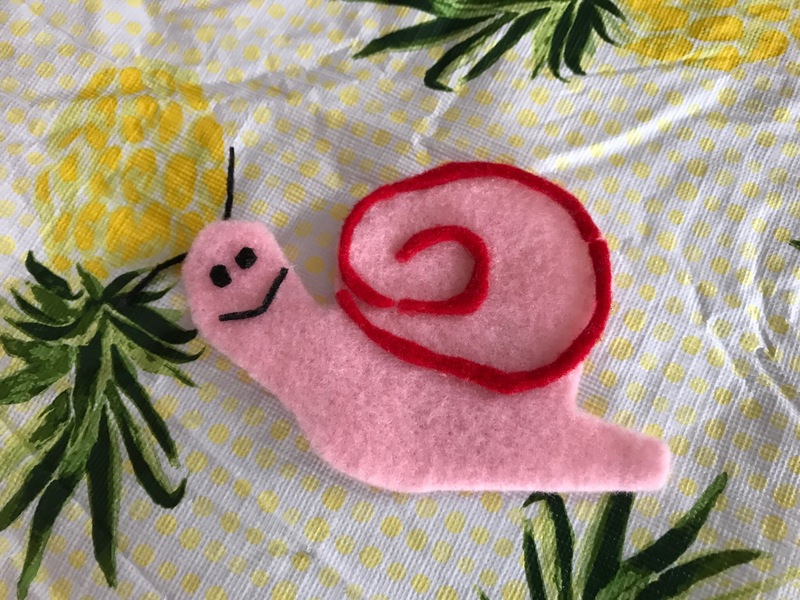 On Pinterest someone made evelopes to send out for kids with their party invite. 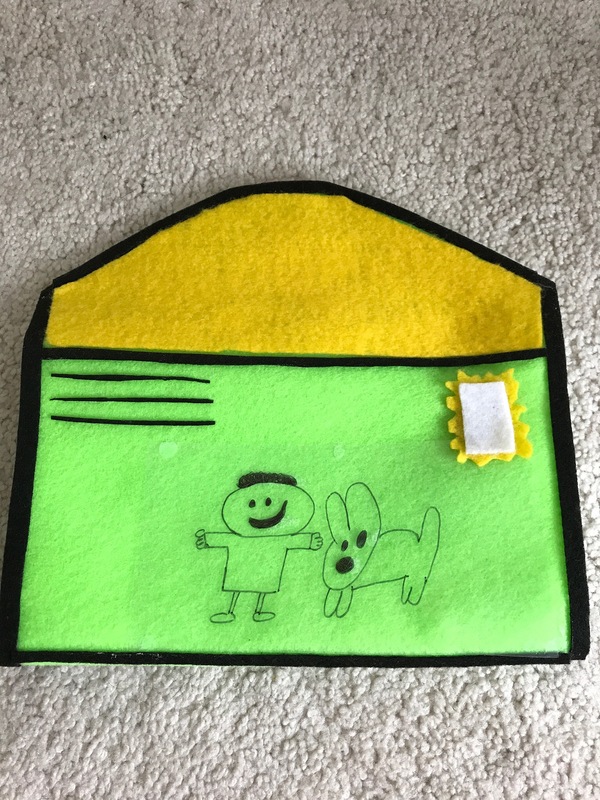 This inspired me to make a larger letter out of felt. 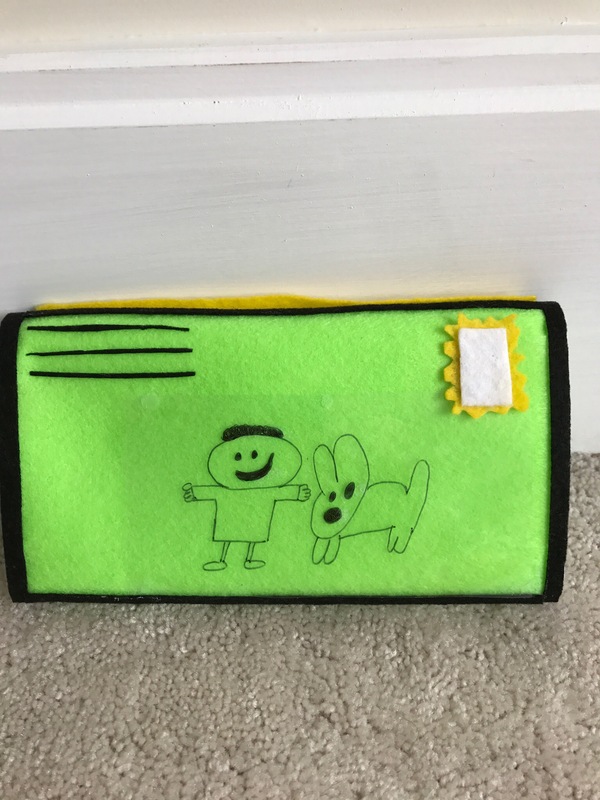 I used stiffer felt for the black trim around the envelope. I used a scrapbook protective sleeve. I cut out the sleeve and drew the image on with a sharpie marker. I glued it on with tacky glue. Inside the envelope is white felt. 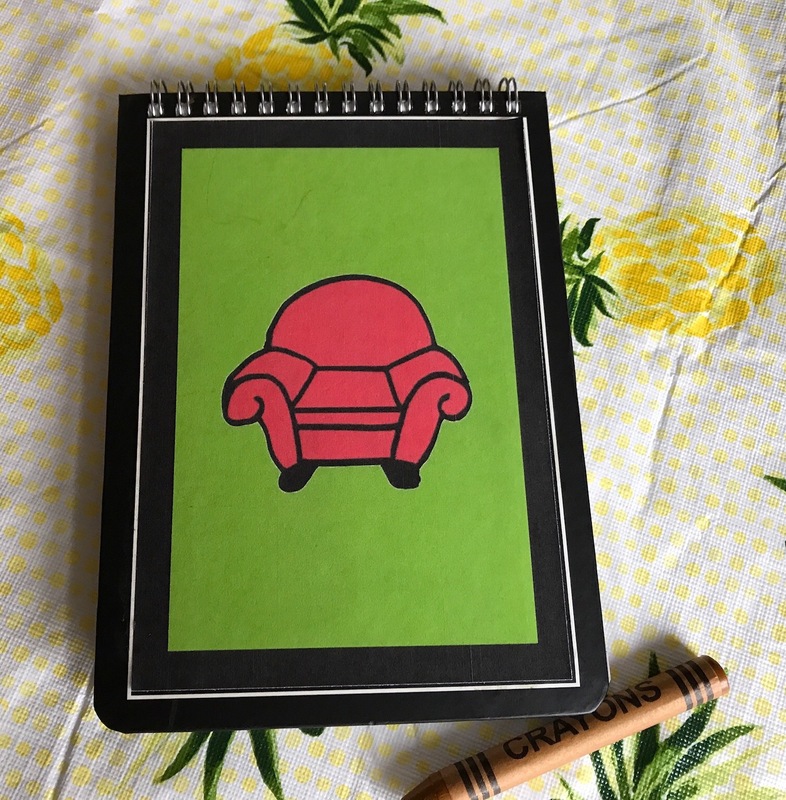 It is a cool prop to play out your favorite Blue’s Clues episode. I made the side table with card stock and colored markers. 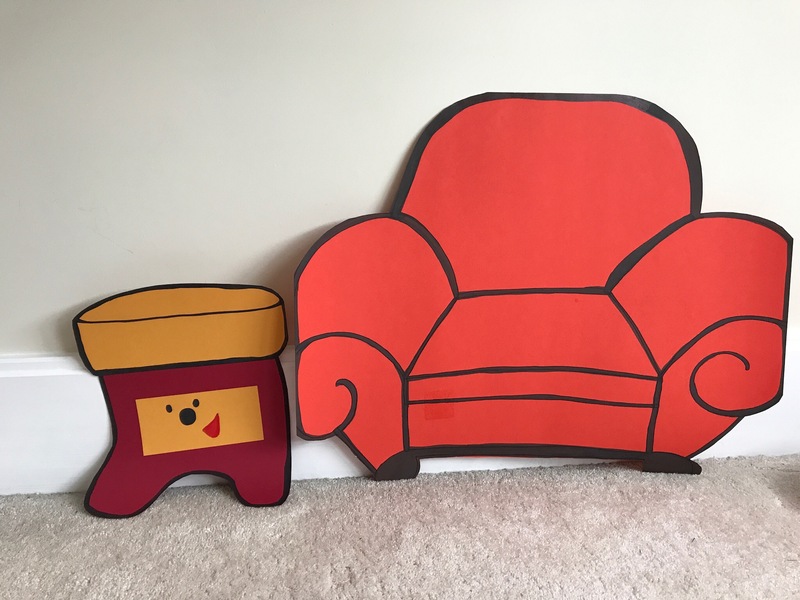 The Thinking Chair is made with red poster board. I used a pencil to draw out the design. I then used a thick marker to color the edges. I cut it out and used a little tape on the back and attached it to my sons chair. It was a cool prop that we was a great photo opportunity for the kids. 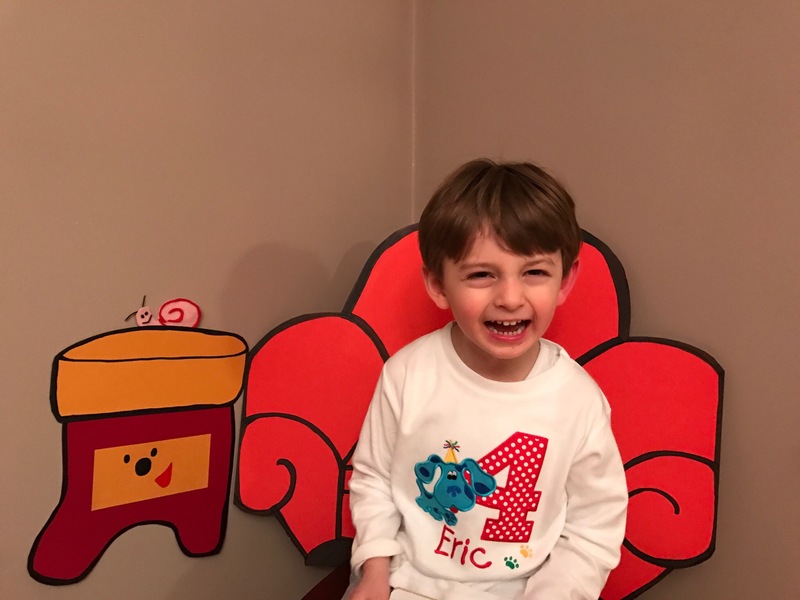 My son had lots of fun sitting in his thinking chair. It wouldn’t be complete if he didn’t have his clues written down in his Handy Dandy Notebook. The Handy Dandy notebook was another cool party prop. I found the large crayon at party city. The note book I purchased at Michaels. It had at image on the notebook but the edges were trimmed with black. I photoshop this image I found online to fit the dimensions of the notebook. I cut it out and glued it to the notebook with a gluestick. Last PostDIY Blue’s Clues Party Ideas: Part 1Next PostHarry’s New Favorite Toy!